Autumn can be a busy time of year if you’re into homemade produce. Bottling and packaging is a major job, whether you’re planning to sell at farmers’ markets or Christmas markets, or if you’re making gifts to give away. For those of us making jams, jellies, preserves, pickles, drinks and honey, it’s no wonder that glass bottles and jars are best. Glass is not only 100% reusable and recyclable; it keeps food fresh and is free of chemicals. Glass is also robust and we think it provides great opportunities for creating products that look really stunning. If you want to give your produce strong visual appeal, the quality of the labels really matters. There are three key elements to consider: 1. Size, shape and design, 2. Materials, and 3. Adhesive. First, your labels need to fit correctly. Bottles and jars are often sold by capacity, rather than measurements, so you do need to make sure you know the dimensions before choosing which size labels to go for. At Avery WePrint, you can choose from oval, straight oval and plaque shaped labels, as well as the more standard rectangular, round and square shapes. 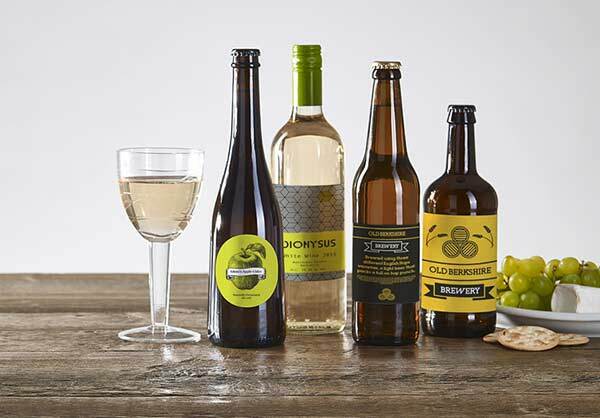 The wide range of Avery WePrint sticky label sizes means that there’s something for all types of bottles and jars, ranging from less than 40mm square, to rectangles that are just under 200mm wide. Being able to print right to the edge helps achieve that professional look. Using our online design tool, you can design your own or upload your own artwork. To get your labels noticed on a shelf, use colour, colour contrasts and a label design that creates a pattern when your products are in a row. Click here for more tips on designing labels. The material used for sticky labels makes all the difference. It affects how well the design appears once printed and how durable the labels are for withstanding transportation, as well as getting wet and being handled. The quality of the label material also affects how long the labels look new and fresh without fading. This is why we focus on the quality of label materials at Avery WePrint. In addition to normal paper, and ‘Antique White’ textured paper, you can choose white or clear polypropylene – a plastic film. 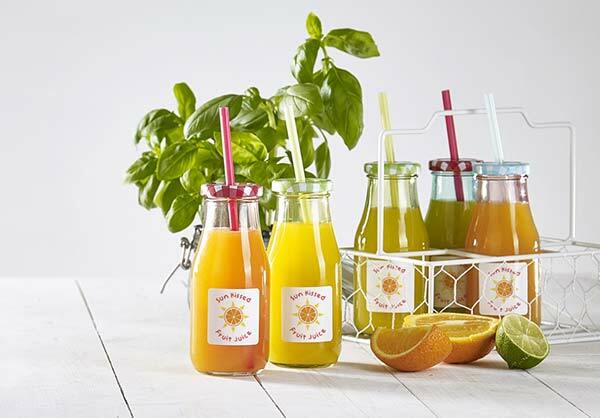 Clear polypropylene labels can look very effective on products such as honey and preserves, and we’ve a special way of printing them to make colours vibrant – read more. If you need extra waterproof labels or labels for extreme temperatures, check out the Extra Durable labels. 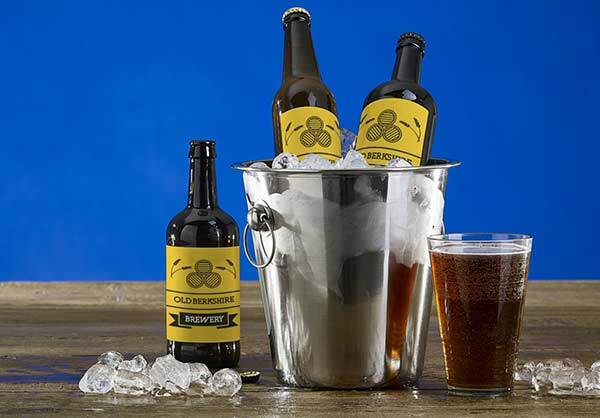 These meet the highest standards for withstanding extreme conditions and are well worth considering if your drinks are going to be kept in buckets of ice or your products are likely to be washed at high temperatures. We recommend starting at one edge of the label and apply it in one direction, using pressure from a finger or thumb. The adhesive on Avery WePrint labels is designed not to allow labels to peel off easily. But please remember that it takes time to bond fully with the surface. We recommend that you allow 24 hours. This means waiting before you put your labelled products in water, expose them to extreme temperatures or give them too much handling. Then you’ll avoid the risk of your labels slipping or coming off. Good luck with your bottling and labelling. We’d love to see your finished products, so get in touch or find us on Facebook to show us how they look.